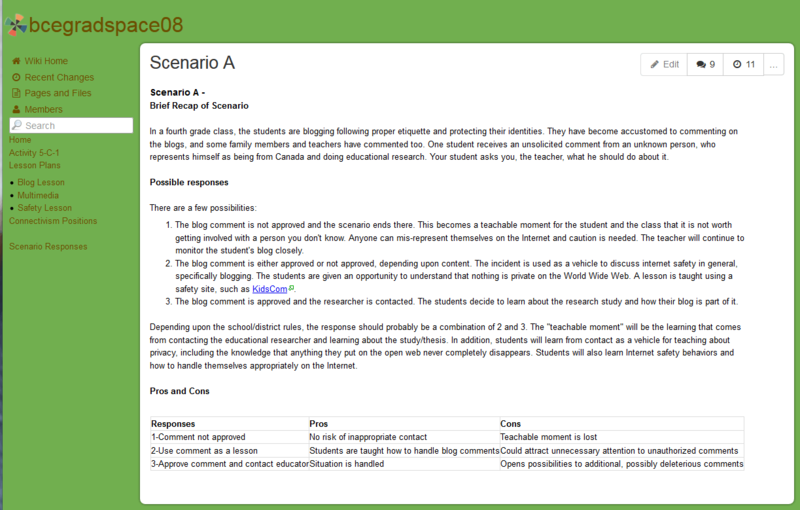 A number of courses I’ve developed use scenario-based activities. These activities pose realistic problems for students to address, allowing them to practice applying skills and making decisions in authentic situations. 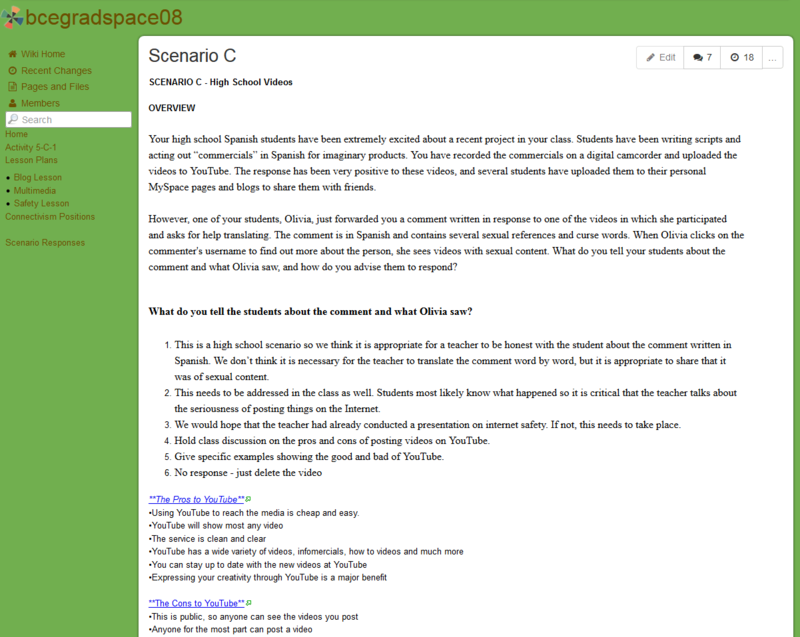 One example of this type of activity is a small group assignment from a graduate course teaching social media skills to teachers. 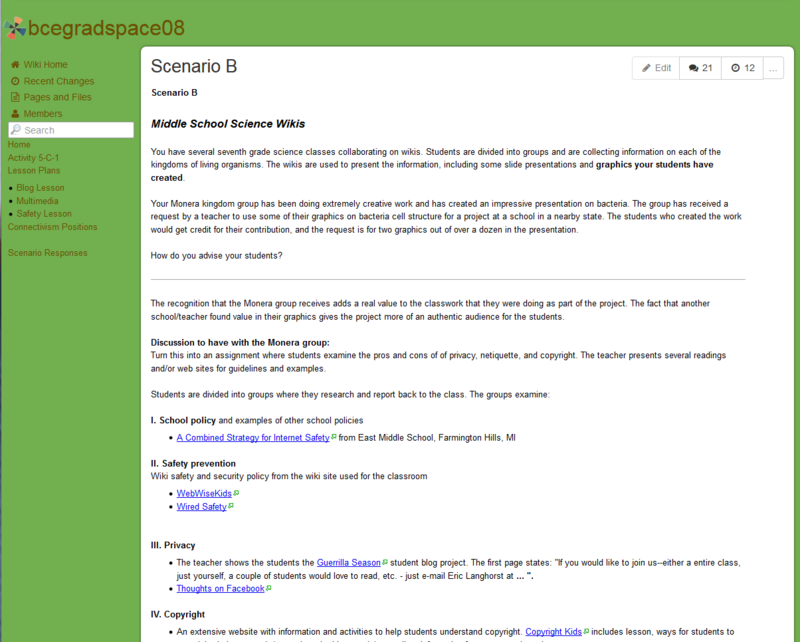 The scenarios deal with privacy and safety issues concerning students using social media tools. Participants in the course use a wiki to collaborate and develop a plan to respond to the issues in the scenario. Click the images below to read part of the collaborative student solutions from a past cohort.